BEIJING—Chinese police have arrested two trade union officials after they helped workers try to set up a union, a source told Reuters on Nov. 30, the latest detentions in a nationwide crackdown on labor activists. 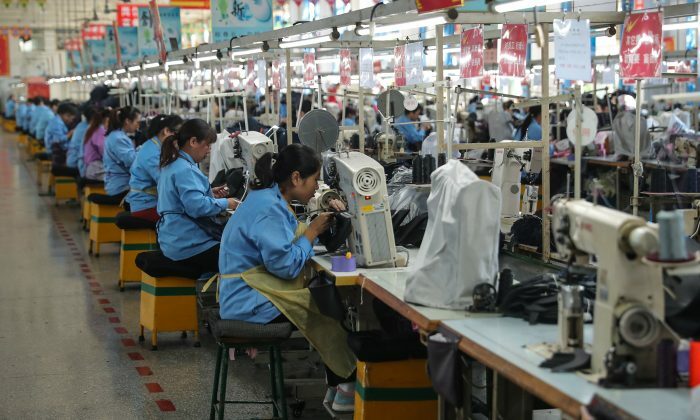 China’s latest round of labor activism began this year when a company called Jasic International, a welding machinery manufacturer in the southern city of Huizhou, fired some workers for attempting to set up a union. The sacked workers staged weeks of protests, drawing in support from activists. The protests sparked detentions by the authorities, first of the protest organizers, then of student activists and most recently of supporters on top university campuses. The stability-obsessed Chinese Communist Party is suspicious of all forms of grassroots organization that operate beyond its control, especially any that might lead to large-scale protests. On Nov. 9, police detained two community officials from the All China Federation of Trade Unions in the southern city of Shenzhen, said a source with knowledge of the situation. Police told their families that they were suspected of “picking quarrels and provoking trouble,” a crime in China, said the source, who declined to be identified due to the sensitivity of the matter. The Shenzhen Public Security Bureau did not respond to a faxed request for comment. The All China Federation of Trade Unions also did not immediately respond to a faxed request for comment. All unions in China have to register with the official federation. But workers are not allowed to organize freely. Labor rights groups say that the federation remains more responsive to the demands of management than workers. One of the detained officials is a woman, Zou Liping, who helped Jasic workers apply to set up a union led by members they had elected, and she also advised them about the law, according to a former worker. “If she wasn’t there, then maybe we wouldn’t have been able to do it …. She told us how to legally set up a labor union,” said the worker, who also declined to be identified. “Even those within the system, if they have empathy for the workers, then they can be detained too,” the worker said. The first source identified the second detained union official as Li Ao. The plight of factory workers at companies like Jasic has become a focus for students and recent graduate activists who have eschewed normal career paths in favor of working to address inequality and other social issues. More than 30 people are in detention as part of the crackdown on the protests, according to a support group. Reuters was unable to independently verify the group’s tally of the detained.